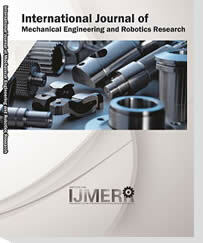 Selected papers will be recommended to the following journal as the special issue on Machine Vision and Robotics, and AI Enhanced Manufacturing Technology (http://www.ijmerr.com/index.php?m=content&c=index&a=show&catid=155&id=1022). Due to authors' requests, the submission deadline extended to March 1, 2019. ICCDM 2019 will be held in University of Malaya, Kuala Lumpur, Malaysia. ICCDM 2018 has been held in Moscow during April 28-30 succesfully.